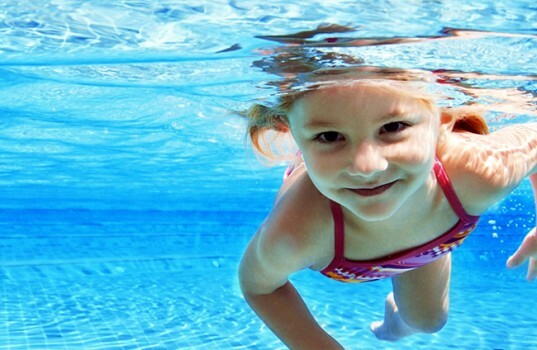 Learning to swim early in life is safer and smarter. I’m going to be honest: It is my dream to see my daughters swim in the Olympics. When running through the list of activities that they would do as children, swimming was at the top of my list – way above dance class, soccer practice and piano lessons. So, when we found Australian Swim School’s Baby Swim Program, we were hooked. 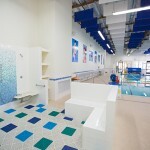 However, swimming lessons, particularly for small children, aren’t just for Olympic hopefuls (or parents of them). Learning to swim is a choice that is both smart and safe. “Water is all around us,” says Diane Bainbridge, CEO of Australian Swim School. “Pools, spas, rivers, lakes and the ocean can be aquatic playgrounds, or they can turn into a dangerous liability in a heartbeat. Learning to swim is essential for everyone.” Beyond the obvious safety reasons, Bainbridge points out that learning to swim provides other benefits as well. 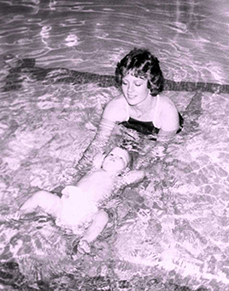 Australian Swim School’s Baby Swim Program took off in the 1970s as babies were taught to roll over and float on their backs in the event that they fell into a backyard pool or spa. Research is on her side. According to a recent study from the Griffith Institute for Educational Research in Australia, children who learned to swim at an early age were ahead of their peers in developmental milestones, such as oral expression, literacy, math and more. Considering swimming’s mental and physical benefits, it’s no wonder parents are increasingly interested in enrolling their children in swimming lessons early. So what makes Australian Swim School so successful? An internal instructor training program that emphasizes swim techniques as well as child development principles, and carefully crafted class routines, have been fine-tuned over three decades. But their world-renowned Baby Swim Program is what really put Australian Swim School on the map. It arguably pioneered the baby pool-safe movement that swept the nation beginning in the 1970s. In the Baby Swim Program babies and toddlers were taught to roll over and float on their backs in the event that they fell into a backyard pool or spa. 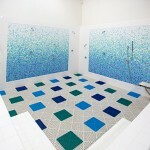 As the pool-safe children progressed in capabilities, however, so did Australian Swim School. 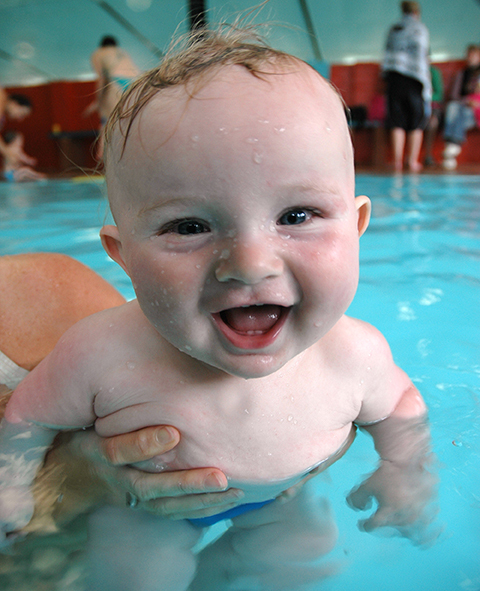 Babies learn pool safety as early as six months old. In the 1980s, these babies grew and developed into excellent competitive swimmers, competing in the Orange County Swim Conference swim meets. People were amazed at the high level of technique and swimming competency these 5- to 8-year-olds were capable of – and Australian Swim School became a destination for families interested in competitive swimming. guidelines that are used across the country today. My daughters have now graduated out of Australian Swim School’s Baby Swim Program, and I can attest to the program’s merits personally. My 4-year-old swims like a fish. She is one of the youngest kids at theschool’s Manatee level, a class in which kids perfect all four strokes: the backstroke, breast stroke, butterfly and freestyle. For Orange County parents who are interested in training budding Olympians – or who are just looking for swim instruction for their own children – Australian Swim School is now even more accessible. 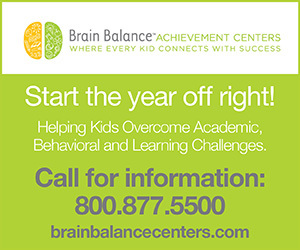 Last November the school opened a brand-new location in Santa Ana. “After 37 years of operating swim schools within health clubs and other aquatic venues, we have finally opened the doors to our first purpose-built swim school, designed especially for our swimming families,” says Bainbridge. 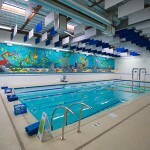 pool, the location features a party room available for rent as well as changing and shower areas with stalls and changing tables for small children. 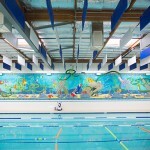 The new facility is also home to a 70-foot mural, depicting a colorful undersea spectacle that adorns the wall above the pool. Janeen Christoff is a UCI graduate who went to London, England to begin her career as an ad copywriter. Since returning to Southern California her writing has focused on family travel, parenting and lifestyle topics. Today, she’s a well-traveled mother of two. Check out her blog at www.latravelmom.com.